Solving absolute value equations is somewhat tricky; it requires understanding of the absolute value property. Solving equations involving multiple absolute values or variables requires some more attention. 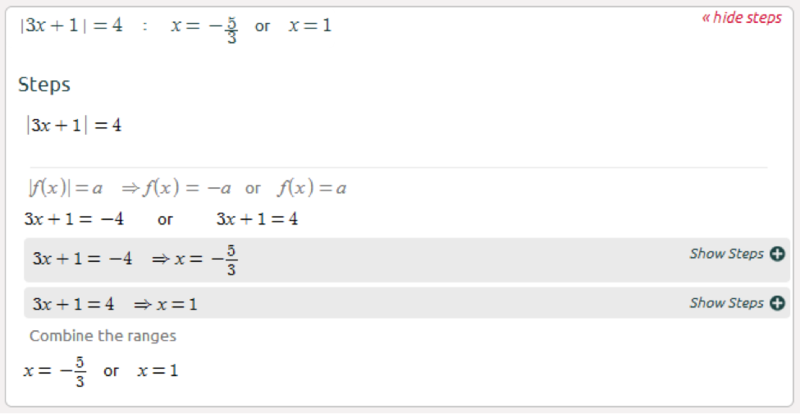 Here you should first find the positive and negative ranges of the absolute values. 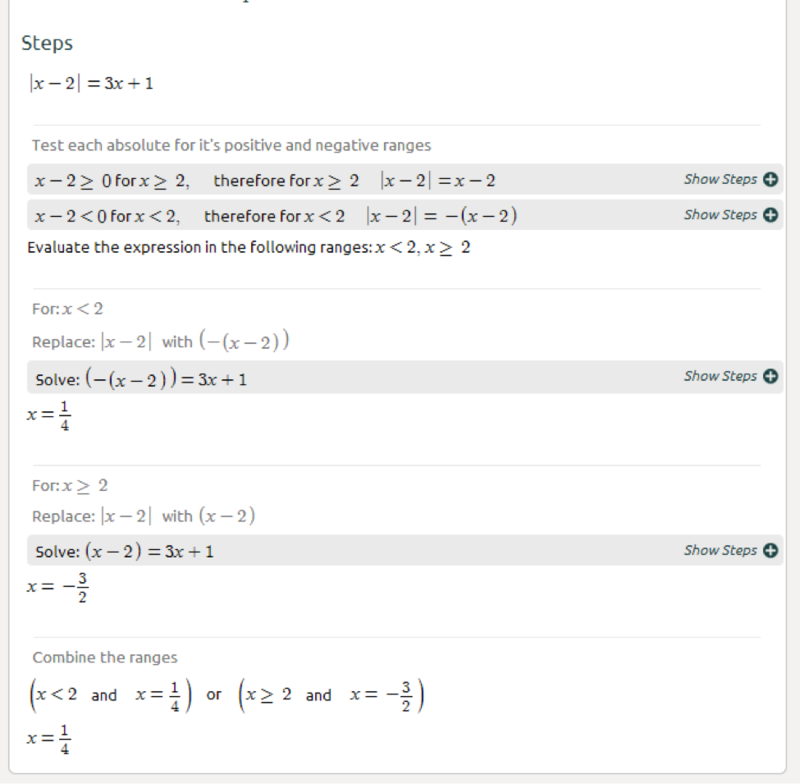 Write the simple equations for the different ranges, solve and validate the solutions are within the range. Mostly we found problem in solving absolute math equation. But in some high school a new method was found in which they can easily solve their papercheap maths problems. And all these problems are solving easily with this method.